I'm in :) Just ordered the title through ILL. I love all of your therapeutic posts, by the way! Thanks Amy! So glad to have you joining us! Always a bright spot in my day to see a new post! Will try to read the book - ordered it from library. We got an ice storm with some snow and the brutal cold. Am so ready for spring! Not sure what my Lent with entail with any extra curricular activities! Have basically 'given up' a lot of my life right now to help care for my sister. (A bad reaction to the radiation and then blocked kidneys set her back a few weeks. Now we have to get her on her feet again - feed her - everything until she can do for herself. Doctors say give her two weeks to regain where she was before the kidney issue.) I may do the Best Lent Ever again from Dynamic Catholic. They are short videos and such and if I can't do it every day, I can play catch up every few days. Always very thought provoking. Thought that this Lent I would try to DO more in the way of offering up more, praying more short prayers and being more aware of others needs and prayer requests. I'd like to be more of an encourager too. Some Lent's I 'give up' something I MOST want each day. That's often harder for me than saying, okay I give up . . . and then live for Sundays! Hope everyone has a blessed Lent! Awwwww, thanks Donna Alice! I love seeing your comments on here! I have been praying for your sister. <3 I love your Lent plans! They don't have to be all formal, sometimes it's good just to try some new things, and keep ourselves in a prayerful state of mind. 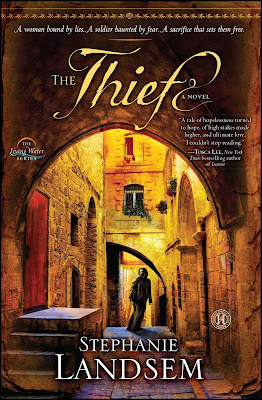 The thief arrived at the library for me. I'm picking it up tomorrow. On the Microsoft Edge issue I mentioned last time. We now have a temporary fix (we were able to remove the icon from the task bar) and a more permanent fix is supposed to be in the works. I'm still deciding what my Lenten plans are. Giving up chocolate (which is hard and easy at the same time) or restricting the amount of TV I'm watching are the top two contenders for giving something up. I'm also considering noticing things more (for lack of a better term). For example, the tooth brush splatters in the bathroom don't bug me but they do bug my mom. So making a conscious effort to see them and clean them up would fall in this category. 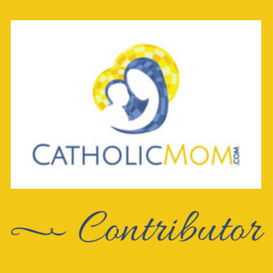 I love your Lent idea! It's really the little things, isn't it? Hum. This is giving me some new ideas!